The Hip-Hop worlds of Fort Worth and Chicago have come together in the form of 1st, a Texas-based duo comprised of rappers JClay and Supreme. Formerly part of the trio 5th Flow, the two met while attending Prairie View A & M University where they made a name for themselves by circulating their mixtapes. Their sound drew early comparisons to Kanye, Drake, and other powerhouses, but 1st creates a truly unique Chi-town-meets-Texas vibe. 3 Penny Opera earned a reputation as a strong performing band through residencies at Austin’s late and lamented Steamboat, packing the house for their CD release and performing in Steamboat’s Eviction Series fundraising shows. 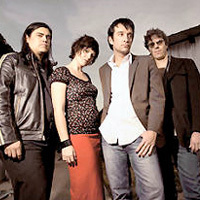 The group’s debut CD, ten pieces for voice, strings and percussion, was released in 1999 to critical praise and brisk sales. The first pressing has since sold out and their 6-song follow-up EP was not pressed prior to the band's dissolution in 2000. 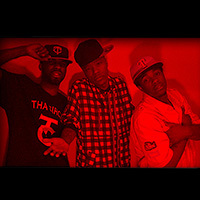 40 Alligators is a rap quartet featuring $lick A$$ Trigg, Cool Mill, Murk Traxx, and Quabo. The group achieved fame and notoriety under their previous incarnation, Too Crunk, collaborating with Soulja Boy and other local independent artists such as Luch Millions and Young Snead along the way to creating their own sound, influenced by T.I., Outkast and Eminem. 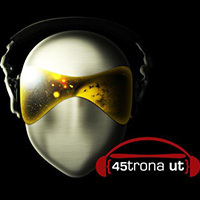 45trona Ut (pronounced "Astrona ut") is a classically trained musician with a passion for dance, trance, electronica and funk. Funkspatial is an album that combines elements of French-Touch dance, trance and electronica made by DJ/producer 45trona UT. 4orms is a dynamic, acoustic duo, where the talents of guitar and vocals are displayed in a unique and emotionally captivating manner.